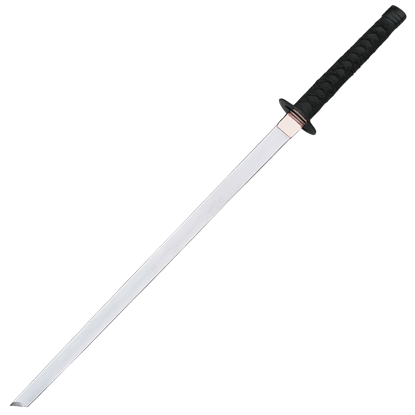 The strong yet beautifully simple design of this sword is intended for those in the martial arts who compete and use their weapons daily. 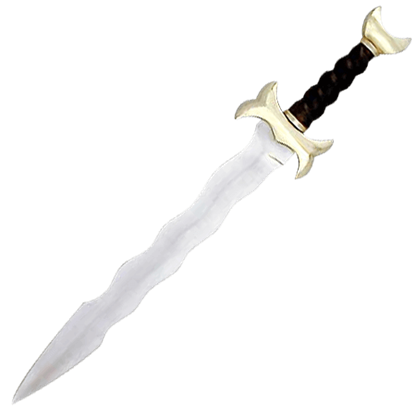 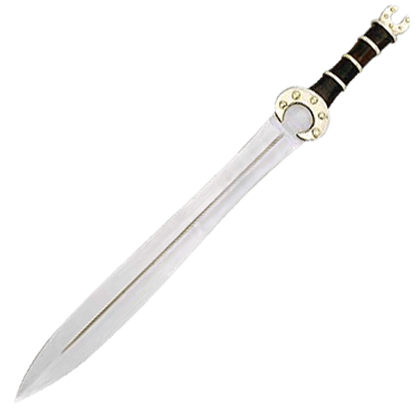 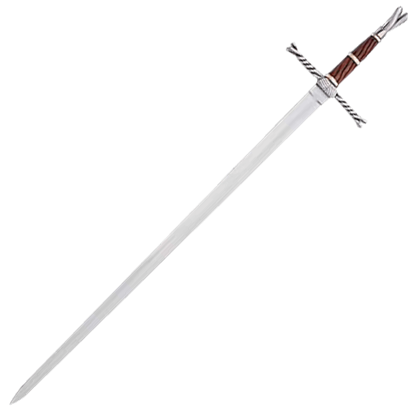 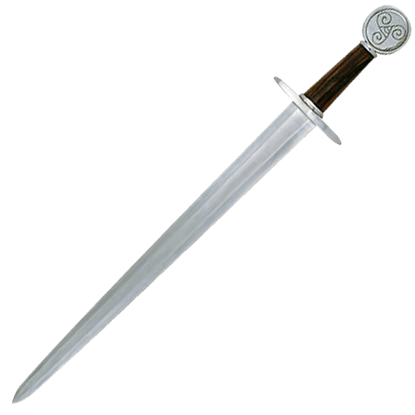 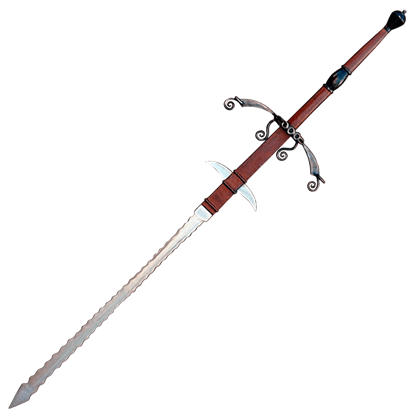 This sword has a thick hand forged blade that is designed to take the rigors of combat. 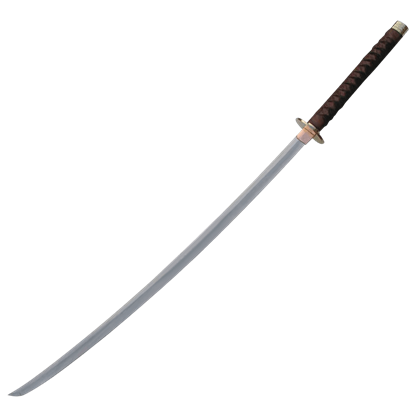 We are proud to offer the Odachi sword, a functional handmade work of art. 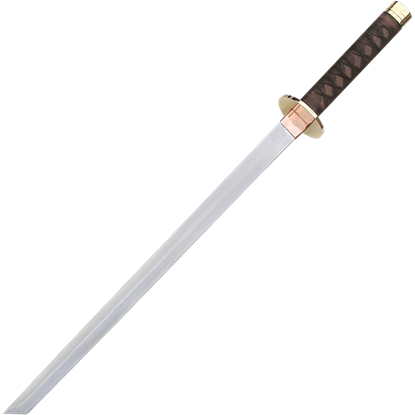 Part of our braided leather collection, our functional Odachi Sword includes a scabbard that is hand made from wood, and covered in leather as shown. 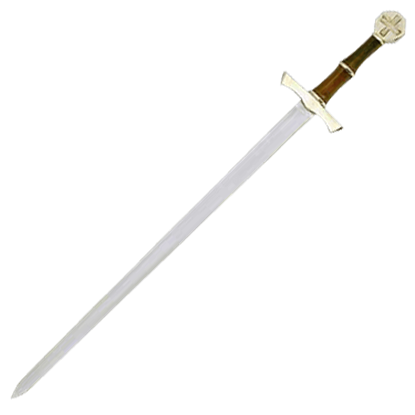 This sword has been styled from an actual German Hunting sword held in private collection. 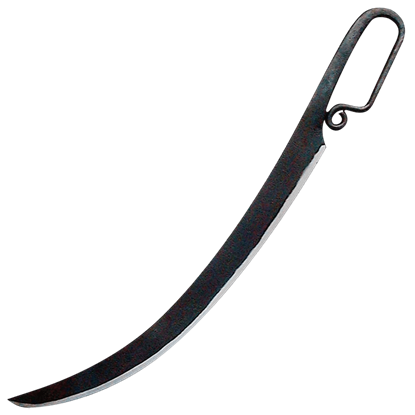 Swords such as these were carried for hunting and protection throughout the forests with one hand making them a perfect riding weapon. 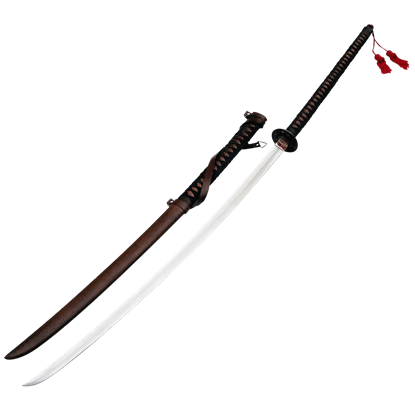 The Giant Samurai Sword was individually made by hand with a natural wood grip and a sheath covered with hand bound and braided leather. 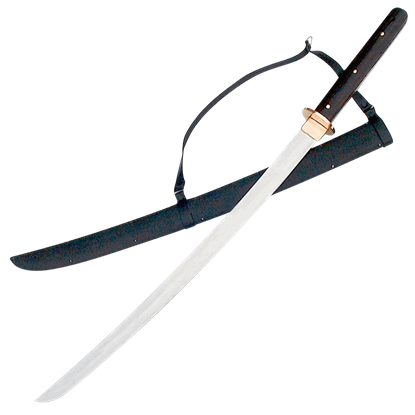 The workmanship put into each sword attests to each being a functional, original work of art.